Dog Trainer College is a beneficial center for learning for both potential dog trainers and your own loyal companion. We are a dog trainer certification school with police K9 training in Arizona that teaches trainers and dogs alike, the skill sets they need to succeed. From basic and advanced obedience training to specialty courses, there are many different courses and training classes you can choose for yourself or your top-quality dog. At Dog Trainer College, you will get access to a dog trainer certification school with police K9 training in Arizona in addition to several other courses. 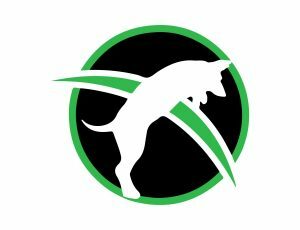 You will be able to pick out which courses you want to take and cater your path to achieve your future goals as a dog trainer. No matter which area of dog training you wish to get involved in, you can find a course to fit your interests. Enrolling in professional training classes provides your dog with plenty of hard work, but the payoff is always worth it in the end. At Dog Trainer College, our Conifer Canine trainers have the expertise and experience necessary to help your dog improve his behavior as well as learn vital life skills. Our professional dog training classes available through Dog Trainer College will prove to be beneficial. For more information on Dog Trainer College and Conifer Canine, call 812-650-2394 today to inquire about the courses and services that are currently being offered!